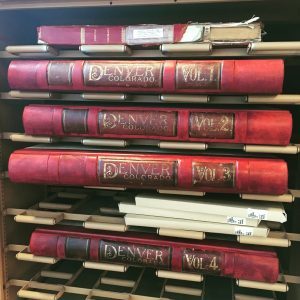 Here at Go Play Denver, we think experiences make the best gifts, but we also understand the desire to wrap something up. 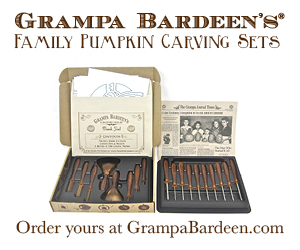 Here are some unique gift ideas in both categories. Step 1. Grab a gift card for $5-$10 at 3-5 (or more) of your favorite coffee shops. Step 2. Using a computer, typewriter or pen and paper, write out the name and address of each coffee shop on the custom tour list and, if possible, a suggested item to try or reasons why you love this shop. Step 3. Put list and gift cards in a festive envelope or small box. 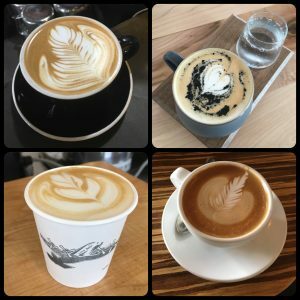 Some ideas for a coffee shop tour that includes a variety of Denver neighborhoods and a diverse array of coffee shop vibes: Amethyst, Allegro Coffee Roasters, Black Eye Coffee House, Boxcar at the Source, Crema, Little Owl, Lula Rose General Store, Pablo’s, Steam, Thump, The Molecule Effect, Weathervane and 2914 Coffee. Museum Memberships A museum membership really is the gift that keeps giving all year long. 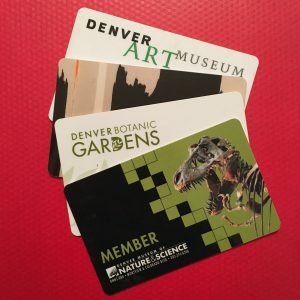 Plus, gift memberships are easy to buy online or by calling the museum and that makes them the perfect last-minute gift that is both unique and thoughtful. Museum membership not only means free entry to the museum, but also access to special programming and discounts on events and merchandise. Young Professionals Group Memberships Many of Denver’s cultural institutions have social groups for young professionals (generally defined as 21 – 40 year olds) that include unique behind-the-scenes opportunities, a chance to meet other young Denverites who share similar interests and fun group events. 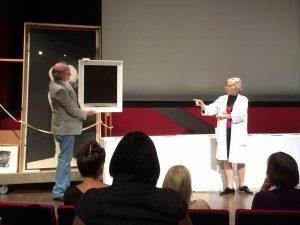 Theater Tickets Whether it’s a Broadway show, an opera, a play or a ballet, live theater is a treat for anyone aged 5 to 105. If you’re not sure when your gift recipient might be able to see a show, then go with a gift certificate. For our family, seeing shows together as a group each year has become one of the main gifts we give each other. Mile High Culture Pass This is quite possibly the perfect gift for visiting relatives as it’s a gift and entertainment all in one! Also great for someone new to Denver. 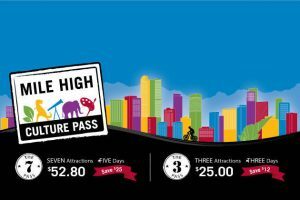 The Mile High Culture Pass is a discounted pass that allows visitors access to 7 fascinating attractions over 5 consecutive days for $52.80 (a savings of more than $25) or 3 attractions over 3 days for $25 (a savings of $12). 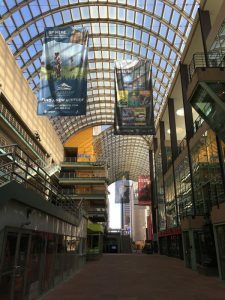 Included attractions: Clyfford Still Museum, Denver Art Museum, Denver Botanic Gardens, Denver Museum of Nature & Science, Denver Zoo and History Colorado Center. Learn more. Share a Class or Give a Gift Certificate for a Class Try something new and create some memories at the same time. 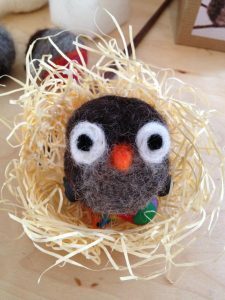 Denver has a growing number of wonderful places to learn a new skill whether it’s sewing, flower arranging, wood working, painting or cooking. Commissioned Painting from a Local Artist Did you know that many artists will work with you to create a custom piece of artwork? It’s true and you don’t have to be a millionaire to do it. 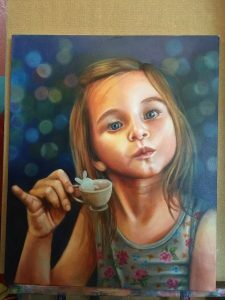 For a bright and playful portrait of a person you love, try artist Naomi Haverland (a previous commission is shown at right). Haverland is best known for her piece called “Hello, My Name is Awsum” which can be seen on the side of a building near 16th Street Mall, but she has also shown at local galleries like Helikon, in addition to being a master of chalk art. To celebrate a favorite pet or thrill a pet lover you know, try Kaitlin Zeismer. We loved Zeismer’s animal portraits featuring realistic animal heads on human bodies wearing hoodies that she showed at Low Brow this year. The beauty of a commissioned piece is that the artist will work with you to create just the right thing, so if you’re looking for a more traditional animal portrait, Zeismer can help make that happen too! If you’re a fan of pen and ink drawings, try Annie Herzig for a portrait of pets or people you love or perhaps a beautifully hand-lettered phrase. Have an artist whose work you admire? Contact them and see if they’ll accept a commission. You might be surprised to find out that they do! 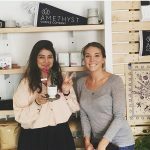 Custom Blended Bath Soak or Herbal Tea Making a custom blend for someone you love is easy with guidance from the knowledgable staff at Apothecary Tinctura (2900 E. 6th Ave.). 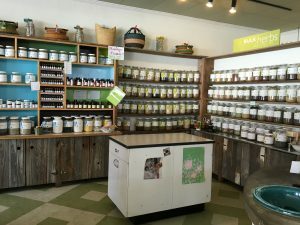 Bring your own mason jar to fill or use one of their complementary craft bags as you blend salts, dried flowers, herbs and essential oils from the shop’s extensive bulk section to create a relaxing bath soak or an herbal tea. For less than $20 and in fewer than 20 minutes, you’ll leave with a thoughtful gift. 3D Printed Bust of Yourself (or Other 3D Printed Object) The sky’s the limit when there’s a 3D printer involved! 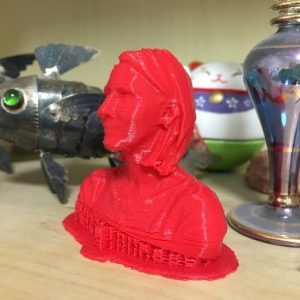 The Denver Public Library’s ideaLAB is a free maker/hacker space where you can get expert help in creating all kinds of things including 3D objects that you’ve designed yourself. Staff at the ideaLAB can help you create a 3D model of your head using a camera and software at the lab and then they’ll print out your bust in the color of your choice. Printing in 3D at the library isn’t fast, so expect to wait a day or two for your free printout to be ready. The ideaLAB is open to adults (ages 18+) on Mondays and Tuesdays, 6p – 8p and Thursdays, 1p – 3p; to families on Saturdays 1p – 4p; and to teens (12-19) Monday – Friday 3p – 6p. Denver Blue Bear Statuette. 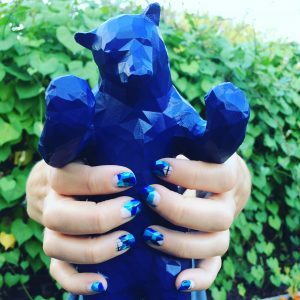 This is one of our favorite go-to gifts as it’s affordable and everyone loves the Blue Bear (actually called “I See What You Mean”). These little replicas of the 40′ tall work of public art located outside the Colorado Convention Center make a charming souvenir for visiting friends and family or a delightful gift when visiting friends and relatives in other states and countries. 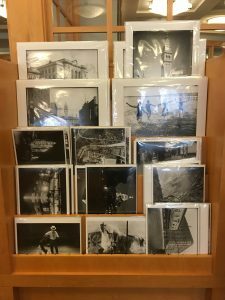 You’ll find these at Denver Art Museum, History Colorado and Colorado Convention Center, among other places.